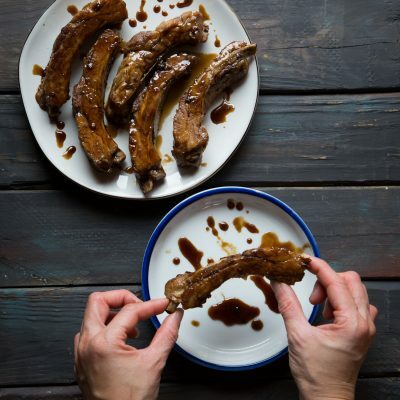 Pressure Cooker Sweet Black Vinegar Pork Ribs-Tender pork ribs are coated with sweet and tangy sweet black vinegar will guarantee you will lick those fingers as you eat them. These were made with Instant Pot. Other cooking methods are included too. 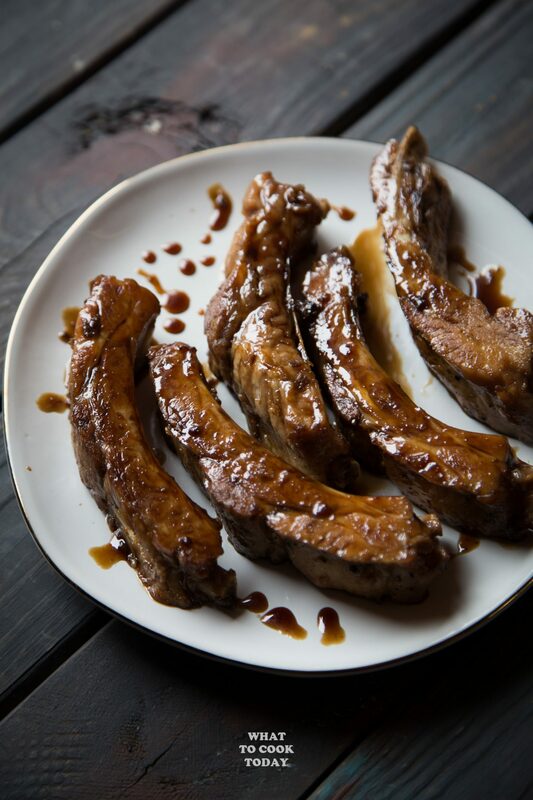 So, after a great result with the Pressure Cooker Chinese Pork Ribs, I decided to make this without deep-frying. The highlight of this dish is really the sweet black vinegar sauce. 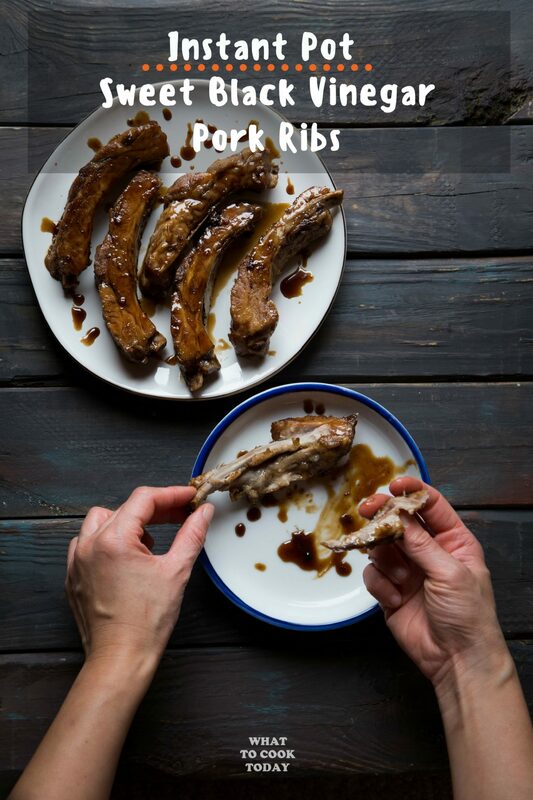 I love the tangy and sweet taste of the sauce coating the ribs. WHAT IS CHINESE BLACK VINEGAR? 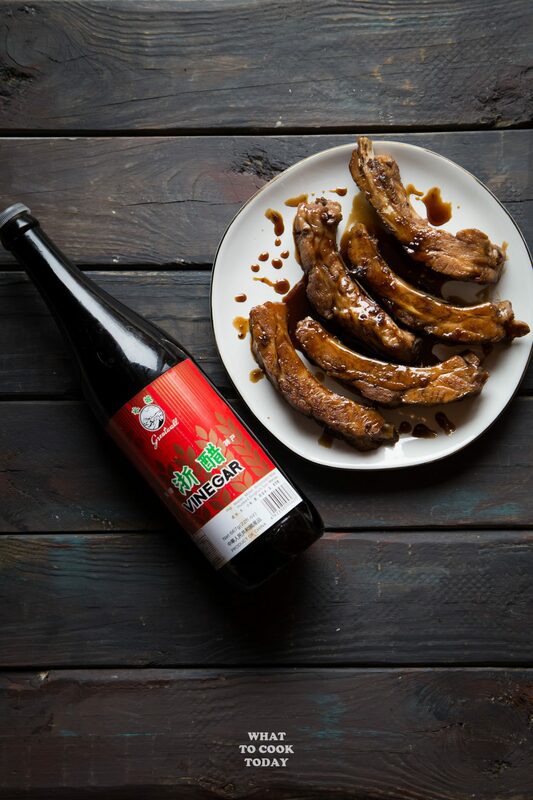 Also known as Chinkiang Vinegar because it was originated from Zhenjiang, China. Its black is contributed mainly contributed by the black rice that is used in making the black vinegar. Many Chinese (including my mom) believes in the medicinal property the black vinegar has in lowering blood pressure and help people who have diabetes. I have no scientific support on this, so proceed with your own risk if you decide to do so. 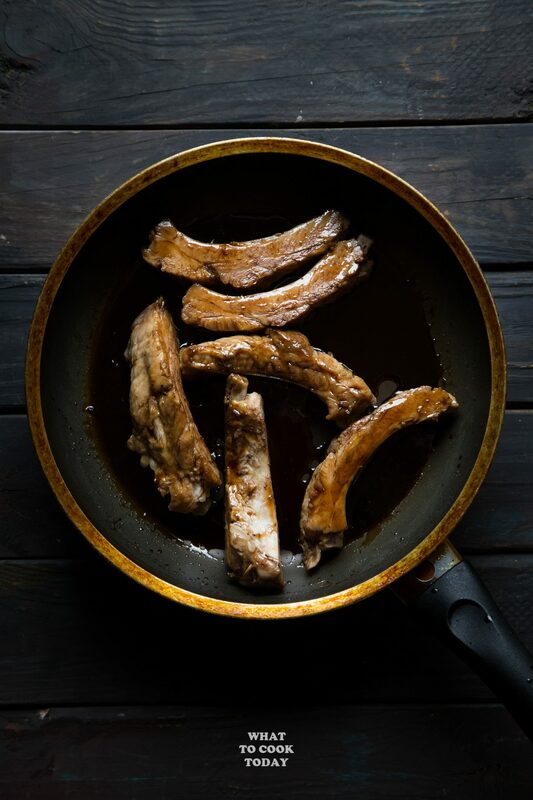 The Chinese black vinegar almost has that similarity with balsamic vinegar. Balsamic vinegar is sweeter though. Chinese black vinegar has no sweet taste to it. It almost has that fruity aroma and when you sweetened it, it turns into a nice sweet sauce like in this recipe. I’ve tried several Chinese black vinegars that are available for me to purchase here in Minnesota and to be honest, this particular one (as shown in the photo below), is the only one I truly like. They are only carried in specific store here. I couldn’t even find this on Amazon. WHAT CAN I USE AS A SUBSTITUTE CHINESE BLACK VINEGAR? The longer you cook that sauce, of course, the stickier it will get as the sugar caramelizes. Can’t stop licking those fingers! 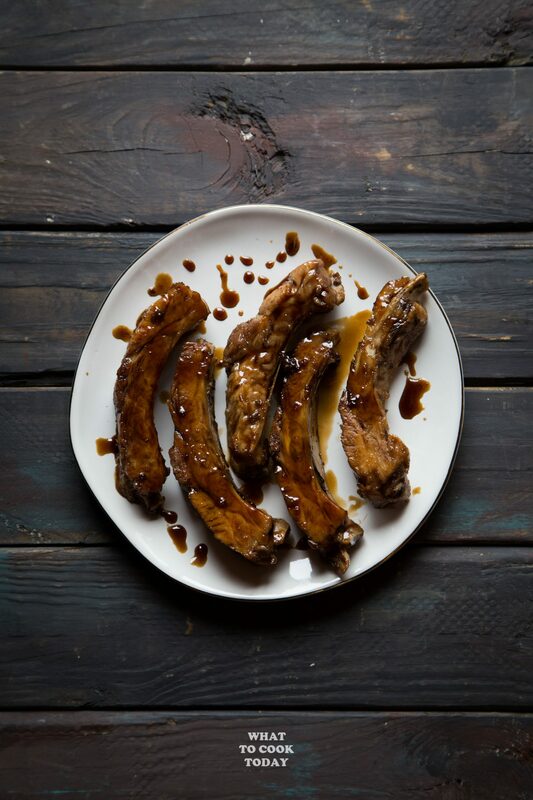 Tender pork ribs are coated with sweet and tangy sweet black vinegar will guarantee you will lick those fingers as you eat them. These were made with Instant Pot. Other cooking methods are included too. I have a question.. that step two – add in cornstarch… add to what? The hot oil or to the pork? As is just rub it in? Hi Yuwie, Sorry for the confusion. I have edited the recipe to make it more clearly. 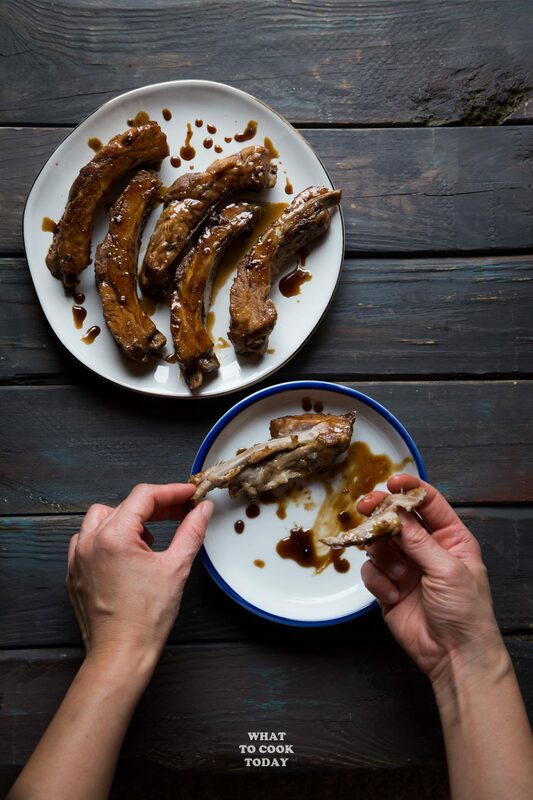 You will be adding the corn starch to the marinated pork ribs and yes, rub it on the pork before you deep fry them. Hope that helps. Let me know if you have more questions. Thanks. 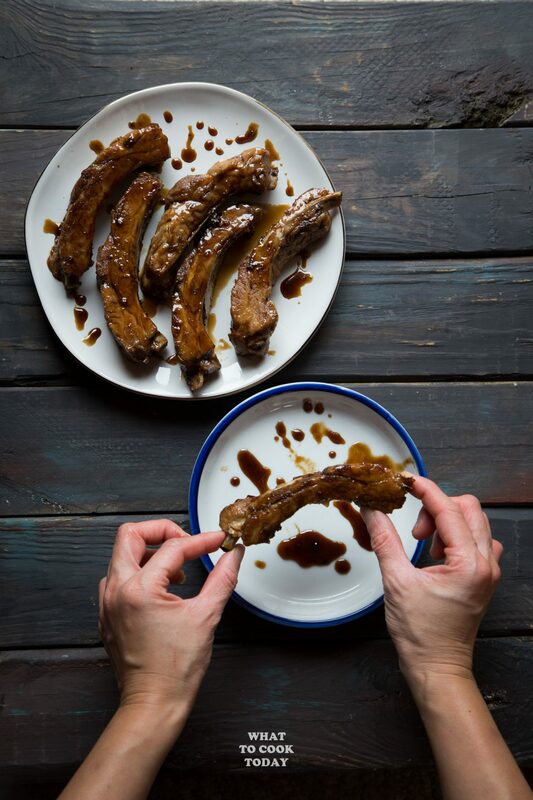 These ribs look so good with the black vinegar sauce! Saving the recipe to make this summer! Mmmm! Hi, for cooking in the presence cooker, do you add the sauce ingredients to the pot to cook together or do you add the vinegar and sugar to the marinade? For the other methods, how much water do you add to the sauce? Sorry for the confusion. 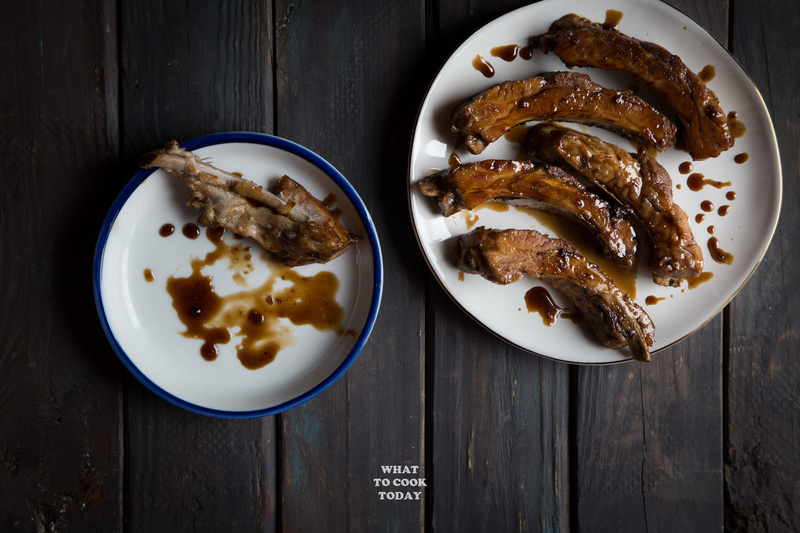 The vinegar and sugar are cooked later and then the cooked ribs are tossed back into the sauce. I have fixed the recipe to make it more clear. Let me know if anything still unclear. Hope that helps.